Mikrogeophagus ramirezi is commonly called the Ram Cichlid in the aquarium hobby. Mikrogeophagus ramirezi is one of the species featured in the Freshwater Natural Aquarium Documentary. BELOW: Video of Mikrogeophagus ramirezi in their flooded area natural habitat. ABOVE: A Mikrogeophagus ramirezi poses for the perfect picture. Picture taken in the wild in its Morichal natural habitat. 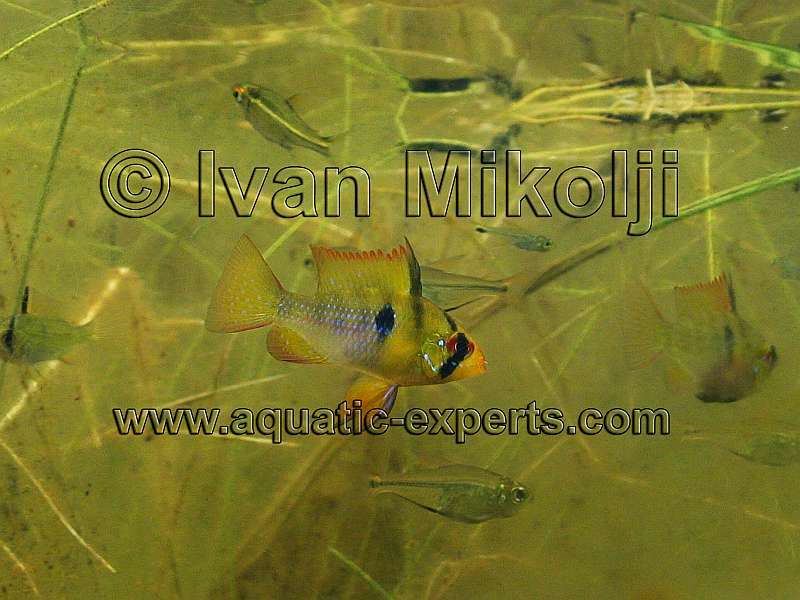 This picture was published on the July 2008, Tropical Fish Hobbyist Magazine (TFH) issue on the Swimming With Cichlids Article. 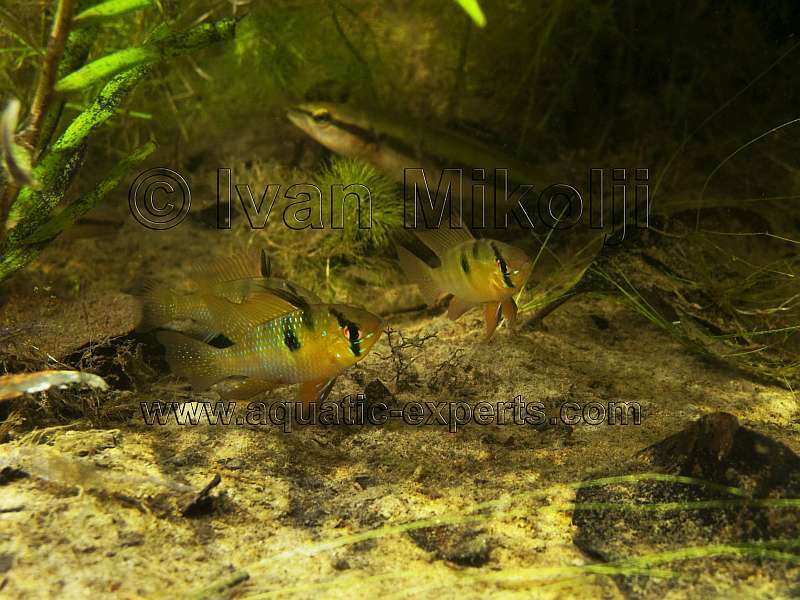 ABOVE: Image of Mikrogeophagus ramirezi in their flooded area natural habitat.